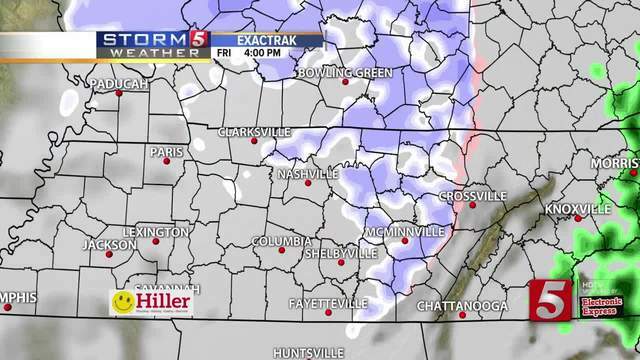 All eyes have been on the chance for rain, sleet, freezing rain, and snow Friday and Saturday. A Storm 5 Alert has been issued for that time period. This is the latest information based on forecast models on Thursday. 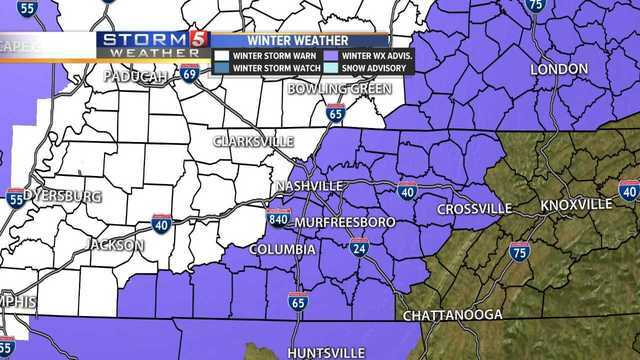 The National Weather Service has issued a Winter Storm Warning for West Tennessee and the western portion of the Mid-State. Davidson County, as well as most counties south and east of Davidson in the Mid-State, have been placed under a Winter Weather Advisory. Friday Morning: This system starts as rain on Friday morning for the Mid-State. Roads will be wet for the morning drive, but as cold air moves in, the switch to freezing rain and sleet could make for a slick morning commute. 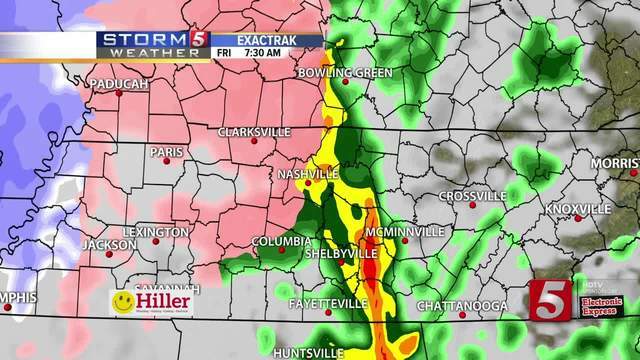 Nashville could see the switch from rain to freezing rain between 7 a.m. and 8 a.m. West Tennessee will see the change first during the early morning hours. Some areas could end up with a tenth of an inch of ice. Friday Afternoon: There will be a break in the ice and snow at times, with scattered snow showers and flurries throughout the afternoon. 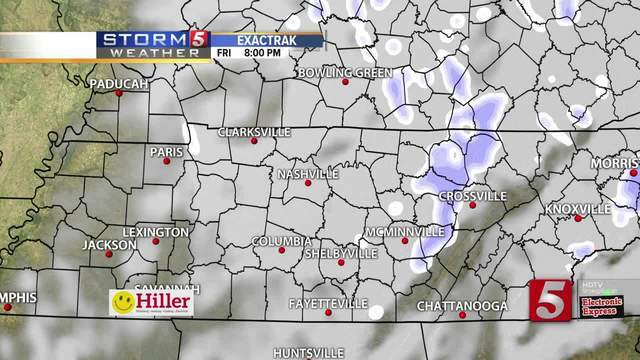 Roads could easily be slick for the evening drive with a layer of ice and, for some, snow on top of the ice already. We could still see some adjustments on the timing of this switch to snow if cold air moves in more aggressively, so this is something we have to watch. Some areas could see one to two inches of snow by Friday night, but not all forecast models agree, with some amounts much lower. Friday Evening - Saturday Morning: This is the time to try and stay off the roads if possible. After a period of freezing rain, sleet, and snow, freezing temperatures overnight (low temperature forecast around 24 degrees in the Mid-State) the roads will be dangerous. Flurries have been expected to continue Saturday morning with a high temperature around 29 degrees. Keep up with your latest forecast by clicking here .